An Oklahoma mother was forced to have her arm amputated after Yaz blood clots caused the limb to die, according to a lawsuit filed against Yaz manufacturer Bayer. According to the Yaz side effects lawsuit, the 32-year-old mother, Brandy Armentrout, began taking the oral contraceptive Yaz in 2007. Five years later, in December 2012, she started to experience a tingling in in her left arm. Although she immediately went to the hospital, limb ischaemia had already set in, and her arm could not be saved. Limb ischaemia is caused by blood clots which create extra pressure in the veins and can cause leg ulcers, lead to serious infections (like gangrene), and cause serious tissue damage that can lead to amputation, as an Amrntrout’s case. Armentrout recalls, “I had no pulse at my wrist. The doctor found it faintly at my elbow and forearm. They took me to a room and started hooking me up to IVs. It was excruciating. I was feeling my hand dying. 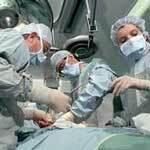 I was watching it turn black.” Surgeons had no choice but to amputate the dead arm. Armentrout is far from the only woman to have suffered a serious injury from Yaz or Yasmin. The contraceptives contain drospirenone, which has been found to cause blood clots that can result in serious and life-threatening conditions including limb ischaemia, deep vein thrombosis, stroke, and pulmonary embolism. Some women have even died because of complications from Yaz blood clots. Bayer is currently facing a multitude of pending lawsuits filed by women who have experienced complications from Yaz.